Ultra Rare First Print Misprint. I’m confused why is PS4 dominating the amount of games on these retailers charts when the software itself doesn’t sell well? Wouldn't surprise me to be honest, they haven't exactly had any hits in the gaming space and went in hard on making Caligula Effect into a franchise which doesn't seem to have worked. 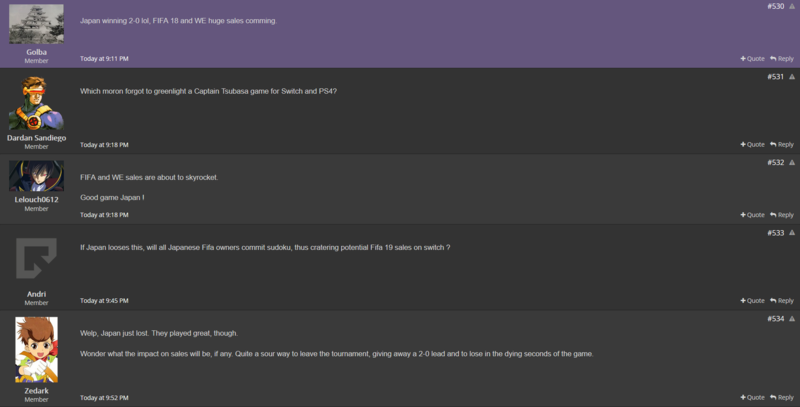 What was YSO's prediction for Mario Tennis and Minecraft's second week? Nice. If their predictions come true, then Aces will have eclipsed Ultra Smash's LTD by its second week and reached 200k by its third. Now i wonder if the project of that Switch Jrpg will still continue or not there. Furyu failure is kinda sad. They are investing on all the wrong product recently. They put hope on Caligula when Alliance Alive is much much better received. And then. Not trying to release the new Caligula on Switch to take advantage of the hot selling system is baffling as PS4 and Switch combo release should be able to help sold more than what they got there. I think it became awfully clear through FuRyu's products that the game division was part of a larger conglomerate, rather than a game-focused company. The products are made on a very tight budget. While they hired some well-known staff for The Legend of Legacy and The Alliance Alive, the problem of overall project scope still stands. It also didn't help that they were trying to get into a niche that was created by a successful project shortly before: aside from cheap Digimon and Cardfight! Vanguard tie-ins, The Legend of Legacy looks like low budget Bravely Default (although this project got a bit more breathing room and got more creative freedom as a result) and Caligula looks like low budget Persona/Trails game. And what they have in production now looks pretty niche too. I think FuRyu have to blame themselves for their lack of success. Compare them to Cygames, who are really serious about getting a foot in the console space by hiring a lot more renowned key staff, taking on bigger projects, and giving these projects a bigger budget and more time to come to life. Cygames isn't just trying it with the Granblue Fantasy action game by PlatinumGames, but also with Project Awakening, a RPG that looks like it's not directly related to their mobile hit IP (announced in August 2016, shown behind closed doors last month at E3). Technical director Junji Tago, who worked at Konami on the Fox Engine, is working on that game. And this week, they announced three other key hires in Danganronpa producer Yuichiro Saito, Bravely Default director Kensuke Nakahara, and Idolmaster general producer Akihiro Ishihara. These aren't just project collaborations, but actual hires. FuRyu just lacked such initiatives and tried to survive by making quick bucks off small projects in a hit-driven industry. They also released approximately 0 game on console, so I wouldn't call their approach better for the moment, they just are filthy rich and are spending a shitton of money on projects we have yet to see playable to the public, to say they have been better than FuRyu is rather ironic in fact, would have FuRyu's fate as a dev/publiher turn out differently by focusing on a couple projects in development for years targeting high end budgets? Who knows, but had they fail the end result would've been the exact same or even worse, and if they didn't that's probably because they couldn't afford it in the first place. Famitsu is forced to break the tradition this time. June and first half will end at 1st July. They can't have 25 weeks for first half and 27 for second. It's one of these rare cases dates don't match with their system. 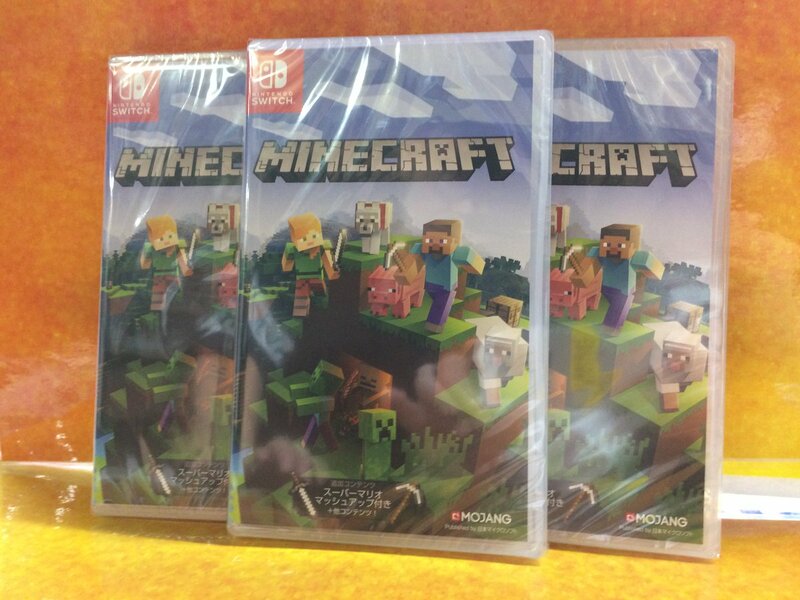 Famitsu just posted June’s monthly sales and they only go until week 25 (ending on June 24th). 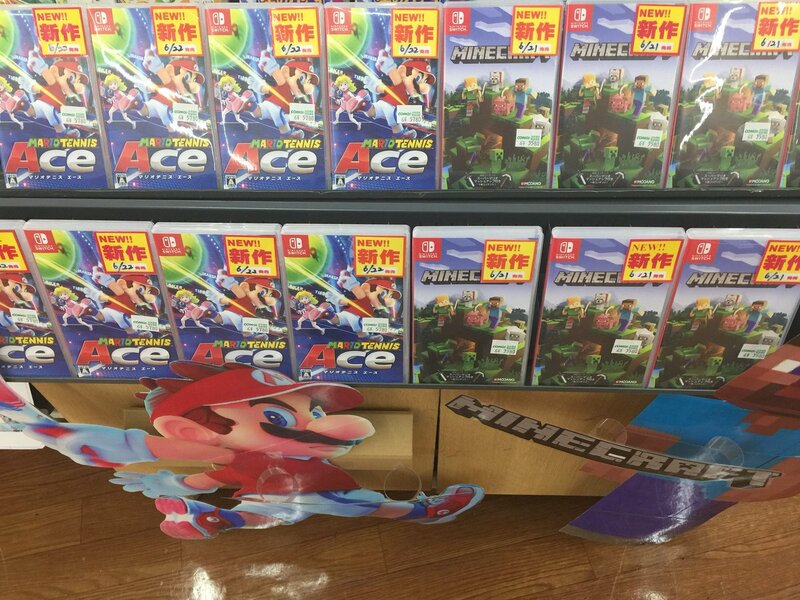 "Switch of this week 's ranking "Mario tennis ace" became first place. Continuing from last week, it will be number one in 2 consecutive weeks. In the second place, the new PS 4 "The crew 2 (net only)" is ranked in, but sometimes dealing with the Geo limited item that the product code of "Motor Sports Deluxe Pack" was set, It became a sale exceeding the cumulative sales of the previous work in the first week. Also, the switch "Ys 8 - Lacrimosa of DANA -" in 6th place is PS Vita -> PS 4 - Switch and release of the third model, but it is reasonable initial move. 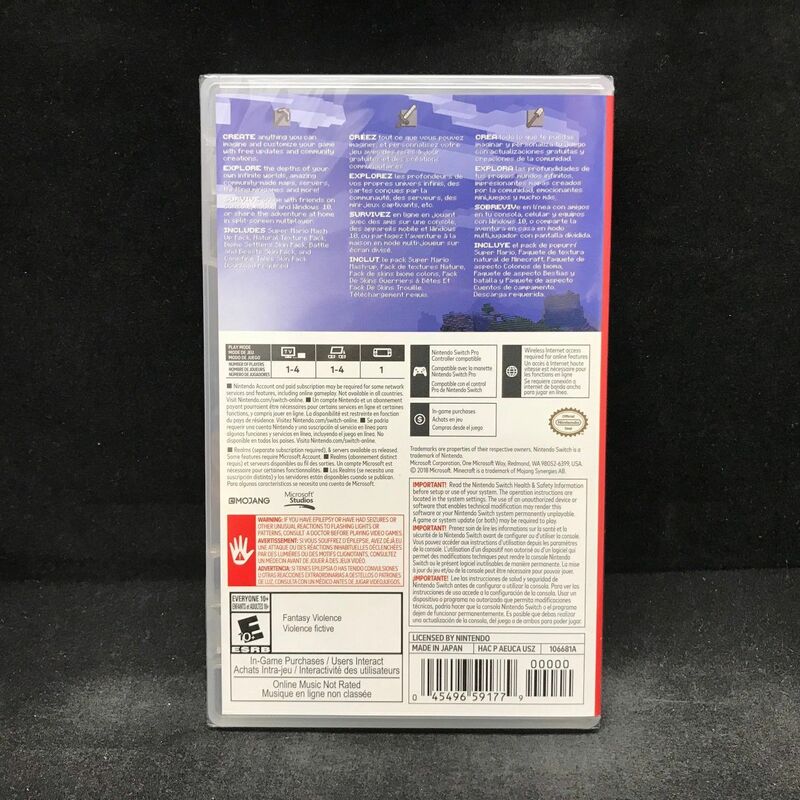 It is also noteworthy for products that are on the rise in sales rankings such as "Kingdom Hearts - HD 1.5 + 2.5 Remix -", "Winning Eleven 2018" and so on." Looks like the FuRyu shutdown was about their smartphone game division and not about their console game division. Hopefully their console games will find enough success to keep that division in business for the years to come. For console games, we will continue to plan, develop, and sell games in the same way we have been during and after the fiscal year ended March 31, 2019. For smartphone games, we do not have any release plans for new titles during and after the fiscal year ended March 31, 2019, and will focus on maximizing the revenue of the titles that are currently available. 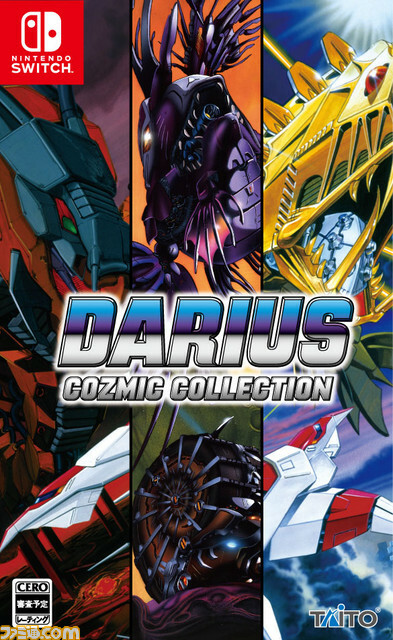 Darius Cozmic Collection announced for Switch, out on February 28th. That's... quite the early announcement. I thought Taito stopped making console games. I suppose this is outsourced? I did a chech and there is one more year with 25 weeks for first half, 2001. 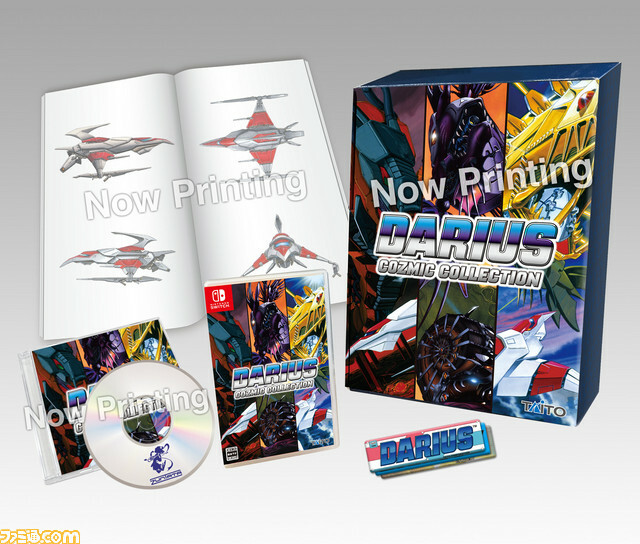 A year has 52 weeks, thus a half year should have 26, baka Famitsu. Maybe Ys VIII Switch won’t have a terrible opening after all. Another company that found it's not very easy to enter mobile paradise. Japan winning 2-0 lol, FIFA 18 and WE huge sales comming. Which moron forgot to greenlight a Captain Tsubasa game for Switch and PS4? FIFA and WE sales are about to skyrocket. If Japan looses this, will all Japanese Fifa owners commit sudoku, thus cratering potential Fifa 19 sales on switch ? Welp, Japan just lost. They played great, though. Wonder what the impact on sales will be, if any. Quite a sour way to leave the tournament, giving away a 2-0 lead and to lose in the dying seconds of the game. Nooooo japan lost in the last second of the game. 3-2 vs Belgium. Still sales will be fine. I'm not sure football games' sales will be significantly affected. The way it happened? For sure. Back when NCAA Football was a thing, I was always more motivated to go back and play it when my school was doing badly, just to make things right. Maybe it could provoke a similar reaction? In no way did Japan play badly, though. To almost beat the no. 3 of the world is a massive achievement. And they also won from Colombia, a great team as well. Japan is my surprise of the tournament (so far). That's fair, I didn't mean to imply they played badly (my school certainly did though), just I wanted that second chance to set it right, even if in my head. I could see a lot of people in Japan wanting to reenact that game and make it go their way this time. It’s going to be like 6-8k. It’ll do better in the west but Xseed fans have been campaigning hard against it. Unfairly to a degree too as the Switch port seems pretty solid even at launch. So with media create it ranks weekly and Splatoon 2 just recently got a #1 rank week which is the first time a game took the number 1 spot so late in its life since Pokemon green and blue in '97. Any idea of if/what records it has on a monthly basis? Konami stock will go down and Akihiro Hino will still have to fix the wall of his living room after banging his head against it so hard during the match for the Inazuma Eleven Ares delay. Yeah, I got it myself and I'm really having fun with it. Hoping it manages to debut above 10k because it's a great game that deserves more sales.